Growing old has no warning. In the same way, disability and other illnesses will have no basis as to when it strikes. We always have to be ready but in more cases than not, we are not prepared to face the challenges of old age or caring for a loved one who is growing older. Fortunately with the help of Companion Care Partners LLC, you can have fewer worries about this aspect in your families life. Here’s how we can help..
Companion Care Partners LLC also offers transitional care that focuses on the comfort and safety of the individual. There are also live-in and hourly care options. 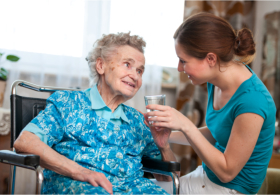 With home care, it is the family’s needs that cause the design for care services. Can we assist your family in any way? Call us at 215-618-2324 to plan your home care services and schedules soon.